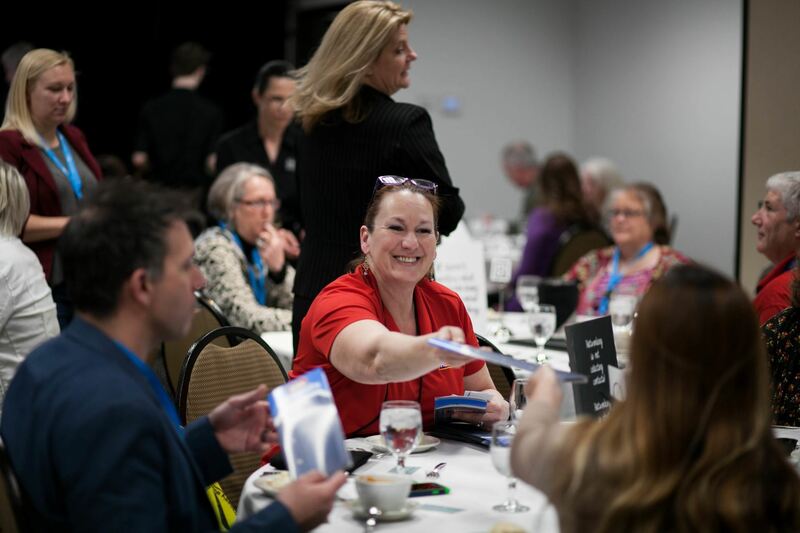 "There's No Better Place to Connect than at WFEA's Annual Conference"
Our members say that the No. 1 reason why they belong to WFEA is to learn and to network. Social networks like Linkedin are useful, but they are no substitute for direct personal connnections and the kind of history you develop with people when they have known you, when they have learned to trust you, and when they have come to value the relationship. 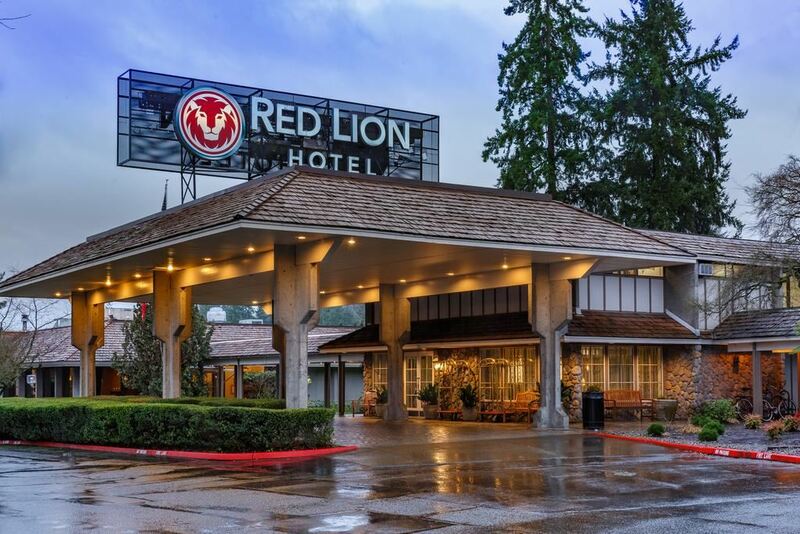 Yes, networking can be a power tool, and there’s no better place to connect than the Washington Festivals Events Association Annual Conference, which will be April 3-5 at Red Lion in Bellevue. You will have the opportunity to mingle closely with some of the top festival event professionals and suppliers in the country. And the great thing about our industry? Most of us don’t compete with each other, so everyone is willing to share ideas that worked for their festival and event. You can grow your network considerably if you attend the 26th annual WFEA Conference. You not only will be able to learn from people during educational sessions at the event, but also to develop a relationship where you can pick up the phone or email them to ask questions and share ideas way after the conference is over. *THESE PRE-CONFERENCE SESSIONS WILL QUALIFY FOR WASHINGTON CERTIFIED FESTIVAL AND EVENT CREDIT. These sessions are held for professionals on a specific topic 1.75 hours. Held in a roundtable setting, attendees can pick their topic and ask questions in an informal setting. It’s a great opportunity to get to know people in your area of expertise. First timers are urged to come and meet WFEA Board members and learn how they can best learn from the conference experience. The loss of a major sponsor can be challenging to the financial well-being of any event. However, the impact isn’t just measured in sponsorship fees. We will discuss a case study of how the Kentucky Derby Festival replaced an event sponsor while ensuring a viable future and reassuring a nervous public. Learn the basics of how to set up your event at the lowest possible price. This session will also delve into what type of vendors you should use in order to make your event efficient and safe. Just like the popular game show, sponsorship activation can be a game of negotiation, strategy and choices. Should you keep providing the benefits you offer to a sponsor or entice them to trade for what’s behind Door Number Two? Here what all event organizers should know about this very important subject. The WSLCB Licensing and Enforcement Divisions will be educating you on having safe and legal events with alcohol. They will cover types of licensing and permits, ways to obtain and sell alcohol, and relationships with alcohol industry members at events. Although cannabis can’t be sold at festivals and other related events, they will also discuss the new world of cannabis related events such as trade shows. A growing trend is that event attendees are becoming more aware of the environment. Learn the many ways on how you can green up your event. Discover the latest trends in our industry with many top event suppliers and producers. Each table at the lunch will be hosted by a vendor/exhibitor, who will distribute materials and discuss the merits of their product with fellow table members. During the four course lunch, each table will be visited by four different suppliers, who will discuss four different topics. Food, along with boutique spirits, wine and Craft Beer focused events have taken over the festival landscape in the past 10 years, and with that, have created an increased level of competition that currently challenges major festival producers to step up their game, stay relevant and find new and creative ways to increase food and beverage sales. It takes more than just great food. Join Jody May, President, and Trudi Webster, Media Director and Culinary Liaison from Festivals. Inc. to hear about current trends, social media and marketing, and the value of how local knowledge and partnerships can assist to ‘spice up sales,’ at your festival. Explore SEO tips and tricks that can help you better connect with those who are searching for your product or service. Learn about best practices including link-building, site speed, long-tail keywords and image optimization. Discuss the shifting role of websites in an increasingly social environment. Volunteers are an essential part of festivals and events. There are three evidence-based aspects to supporting festival and event volunteers in your community: recruit, reward, and retain. Learn how these aspects can improve your festival and help volunteers feel engaged and appreciated. Insurance – Are You Ready? This session will cover what to insure against, and how to apply for coverage and get the best deal. Here ideas on walk-throughs, golf carts, certificates of insurance, volunteers and several other subjects. One of the Northwest’s leading event producers will give a practical approach to planning and managing a complex live event project. Learn how to budget, develop a team, track work flow and milestones, document a production plan, and how to train and manage an onsite team. This session is both for you as a professional and for your festival or event. You will learn ideas on how to be seen as leader and expert in your field and community, as well as how to have your festival or event standout from the 1,000’s of festivals taking place annually. Learn how the National Lentil Festival was in the New York and L.A. Times in its second year of existence in 1990 and how the Tiny Town of Bucoda, Washington and their first year Boo-Coda Spook-Tacular Festival received an estimated $100,000 of earned media in 2018, including a 2 minute segment on King5 News. Some of the best festivals and events in the state are produced on the Microsoft campus. Here’s the opportunity to learn many new ideas – hundreds of events are created for business reasons, and for employees and their families. The success of every event hinges on an effective plan to attract guests or ticket buyers. Learn how to develop a comprehensive marketing and communications plan and build your own playbook to increase engagement and grow attendance. 4 Easy Steps to a Waste-free Event! Did you know that converting your event to "waste-free" can actually save you money? Join this fun and engaging session to learn the steps to success for planning your next event or festival. We will cover the benefits, the challenges, and the solutions that make it possible, with real event examples and templates that you can use for your next event! New recycling rules will be covered too! Come hear from this expert panel who will share how they partner with events as a tool to connect to their audiences, to support and become more rooted in the community, as a marketing vehicle and more. We’re covering the sponsorship cycle with them – from prospecting, developing relationships, activation and through recapping. As event organizers we all make mistakes. Look at these mistakes as opportunities to learn a better way. Craig will share some of his blunders and then discuss the lessons learned and the remedies moving forward. Blunders include incorrect placement of vendor booths as they pertain to water drainage, fire lanes, power lines, and facing the sun. Handling signature gatherers, service animals, and public nuisances. Placement of Port a Potties and generators in relation to the neighbors. Help us recognize the best of our industry, as we welcome new inductees into the WFEA Hall of Fame, the State’s Volunteer Year, and the winners of the Summit Awards, which embodies the best of the festival and events industry. The need for information about the economic impact and demographics of the audiences of festivals and events has never been greater. Festival management is serious business, but sometimes it’s difficult to persuade government, sponsors, and business, that a festival contributes to the economic vitality of your community. Learn the basics of economic impact and demographic studies, what they can do for your organization, and how this can answer those LTAC grant questions required by the State. Operations contributes significantly to the success of any event or festival. This session covers four main elements of operations: site selection and design, event infrastructure, support services, and planning and implementation tools. Successfully planning for these essential operations elements can make or break an event and the planning tools provided will make the event planning and execution appear seamless. Whether you are a new or old event, programming needs to be constantly refreshed. Learn how to get new ideas in order to keep up with your audience’s expectations. Also discover how to utilize community resources to beef up your event. 2018 marked a significant milestone for Washington’s tourism industry, as the legislature unanimously supported legislation to reestablish statewide tourism marketing. Learn what’s underway, what’s planned for the future, and how events can benefit. Bring your questions to this seasoned panel of event producers. Between them they have over 125 years of experience! Events will never be disaster-proof, but they can be disaster ready. Learn how you can develop a program that will provide for safety for community leaders, first responders, bystander/victims, as well as festival performers and the audience. Many festivals sometimes say we are small and we don't have the same challenges as big festivals do. Come hear Greg Flakus from GF Strategies share with you what he has learned from working with three of the largest music festivals in North America, and two of the most successful in the world. Bonnaroo, Coachella, Outside Lands. Greg will share his findings from having worked with these festivals as they have evolved in the past five years. He will share how these festivals have managed to adapt to the attendee and create new concepts every year. In an industry that is constantly looking for new revenue streams and how to maximize current streams, this is a “Top 10” checklist of critical areas to revisit at your event for increasing non-sponsorship revenues.